The CoffeeShop Blog: New Free CoffeeShop Fall Leaves Template AND Preview of CoffeeShop Coming Attractions! New Free CoffeeShop Fall Leaves Template AND Preview of CoffeeShop Coming Attractions! 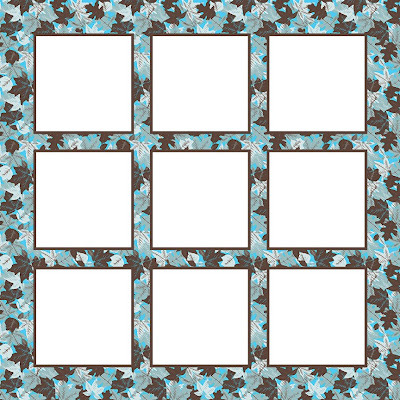 Here is a freebie template for you guys that I made tonight called CoffeeShop Fall Leaves. The color pallete and pattern (enhanced in Photoshop with brushes) are from http://www.colourlovers.com/ (a great site, check it out!). 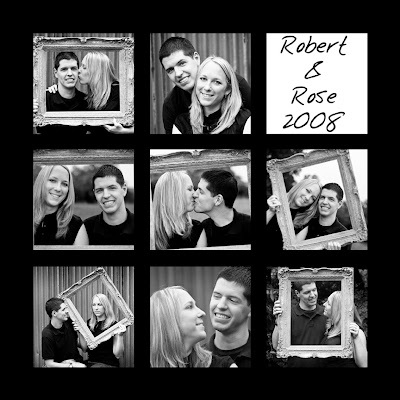 This template is 12 x 12, 300 dpi (it can be printed to 30 x 30). In a day or so I will be releasing both the template and loading action for this template (see below). Download the Free CoffeeShop Fall Leaves Template! Here is a preview of my newest template, CoffeeShop In the 9's. It is 12 x 12, 300 dpi (so it can be printed up to 30 x 30), with 9 square cutouts. This template is an action so you can apply colored image borders or easily change the template color from white. I am also including a loading action to save you the time and frustration of dragging all of your images into the template and having to free transform them to fit. I will be posting both template and loading actions in the next day or so, so please come back! The actions will run in Photoshop and Photoshop Elements. I am also working on a new action for your portrait processing. CoffeeShop PowderRoom has been my most popular action thus far, so I am going to rewrite and improve it. I am working on CoffeeShop Pretty Portrait which will combine the skin softening/eye enhancing parts of PowderRoom, but will also include some color pop, sharpening, vignette (all with layer masks) and other goodies. This action will be the only action you will have to run on your portraits, and layer masks will be included so you can mask out skin if you find the color pop or other effects too harsh. Everything will be completely adjustable and the action will run in Photoshop 7 and above and Photoshop Elements 4, 5, 6, and 7. I am really excited about this action and hope you guys enjoy it! Have a nice weekend and come back and visit! Wow, this is so exciting. I love your actions and can't wait for this one. Thank you! Your blog post will be advertised on the DigiFree Digital Scrapbooking Freebie search engine today (look for timestamp: 01 Nov [LA 08:58pm, NY 10:58pm] - 02 Nov [UK 03:58am, OZ 02:58pm] ). Looking forward to the nine's template, and the powder room upgrade - I use it all the time. Your actions are a blessing for me. I am a senior + so any help I can get to make things a little easier for me are so welcome. thank you so much for sharing I really appreciate your generosity. Thank you so much for sharing your talent. I love your actions and use them OFTEN! I'm looking forward to your new one. Ohhh, I can't wait for the powder room and the nines template! My grandbabies will look so adorable in that template! I've never used actions on photos before, so I'll look forward to trying yours. wow. you truly are SO talented and SO generous!!!!! Thanks so so so much! Love your template - THX!! Wow, I just found your blog on digifree, it's like I have found digi heaven! Thank you for your work. I'm trying to find someone to make a smilie on his knees bowing down, but I don't have one yet, so you'll just have to imagine it! lol Thank you. Rita: I don't know how you do all you do. You are simply amazing. Thank you SO much for being so talented and sharing it with us. OOH I am very excited about this one! I am actually here today because I'm having an issue with Powder Room. This new action sounds GREAT! Can't wait. Thanks so much!